Different people worship God in different ways. At Christ Church with St. Philip we offer a variety of forms of worship from traditional to contemporary, from all age worship to communion services, and from lively to contemplative. 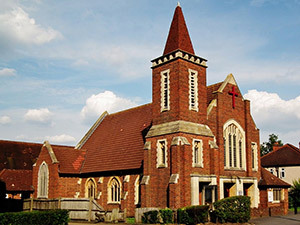 We draw on the traditions of both the Methodist and Anglican Churches with most – but not all – services following a liturgy from one of these traditions. We hope that you will find a form of worship here that will help you to get close to God. Our regular Sunday services follow the basic pattern shown below, or you can look at the full list of our services for this month. Refreshments are served in the Welcome Area after all 10am Sunday services. If you would like to get more of a flavor of the type of worship we offer at each of these services, why not look at the ‘rough guide’ to our services. The church is often open during the week for people to find stillness and take time to pray. If you’re coming from a distance, please contact us to check we’ll be open as the church is only open when the halls are in use and the Center Manager is on site. Coming to our church for the first time? We want our church to be somewhere you feel comfortable, so we’ve put together a ‘rough guide’ to our services for anyone coming to our church for the first time. At Christ Church with St. Philip we seek to be a family-friendly church. We have an active young church for children and young people aged 4+, and a crèche for those aged 0-3. We also recognize that some parents and children want to stay together for Sunday services, so children are always very welcome in church. We have books and toys in the gallery area where parents can keep their children amused while still taking part in the service. The first Sunday morning each month is our All Age Worship service, when we all stay together for a lively service designed to benefit all ages, and especially geared towards children. We also have a Toddling2Church group on Tuesdays at 2-3pm. Parents, carers and pre-school children are all welcome to join us for songs with percussion instruments, a Bible story simply and sensitively told, a story-related craft activity and, of course, drinks and biscuits.